A well-functioning, modern infrastructure is central to economic development and to quality of life. From the roads and railways needed to transport people and goods, to the power plants and communications networks that underpin economic and household activity, to the basic human need for clean water and sanitation, infrastructure matters to people and businesses everywhere. However, there have been relatively few attempts to track and monitor infrastructure investment across countries and sectors. This has made it difficult to predict how, where and when investment is most needed. Over the last year or so we have been working with the Global Infrastructure Hub to address this knowledge gap. Our study seeks to estimate how much the world needs to spend on infrastructure in the years to 2040, and in which countries and sectors this investment will be required. The granularity the study provides is unique: it collates data and creates forecasts for seven sectors in 50 countries, over a period of 25 years. 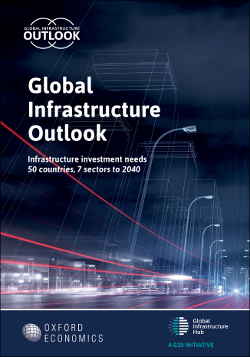 We estimate global infrastructure investment needs to be $94 trillion between 2016 and 2040. This is 19 percent higher than would be delivered under current trends, and is an average of $3.7 trillion per year. 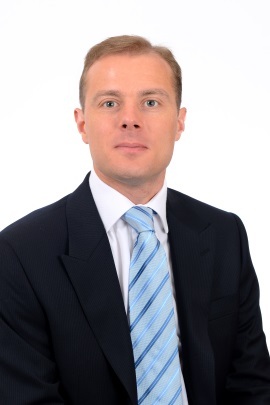 To meet this investment need, the world will need to increase the proportion of GDP it dedicates to infrastructure to 3.5 percent, compared to the 3.0 percent expected under current trends.